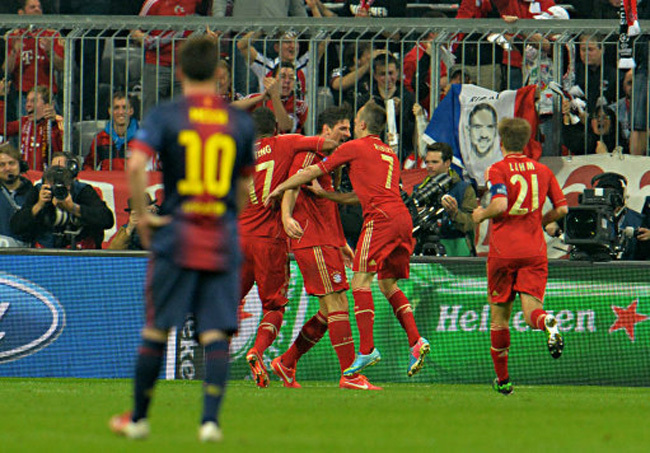 It’s not often that you see the great Barcelona outplayed in a football match but at the Allianz Arena on Tuesday night, Bayern Munich took the Spaniards to the cleaners, hammering them 4-0 to move a step nearer to the final. 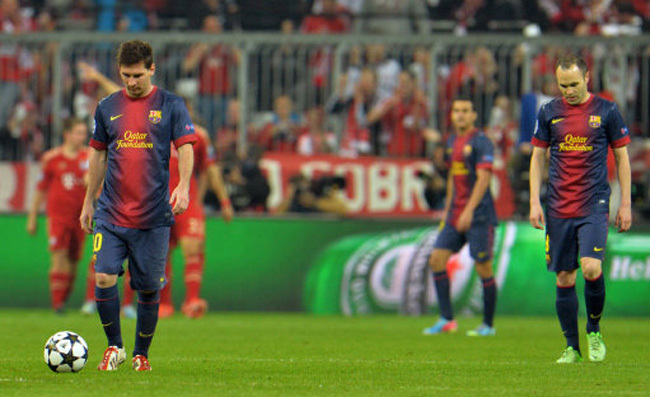 Lionel Messi, not long back from injury, was a faint shadow of his usual effervescent self while Barca got a taste of their own pressing medicine, with every Bayern player, Arjen Robben included, closing down and tracking runners for the full 90 minutes. Thomas Mueller opened the scoring on 25 minutes, heading home from close-range to give the home side a 1-0 advantage at the break. 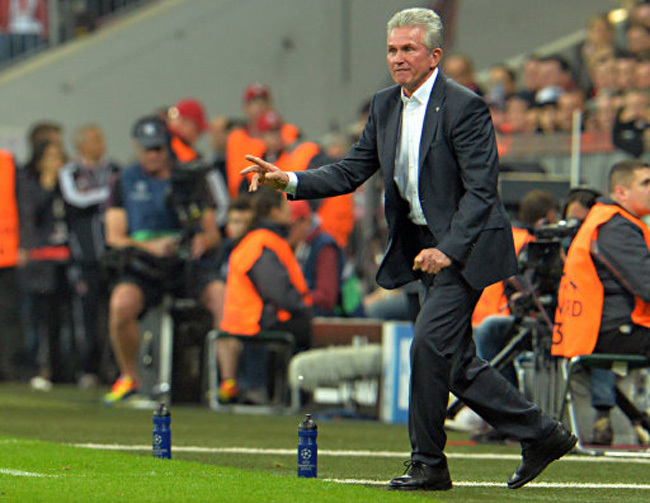 In the second period, Mario Gomez and then Robben put the Germans 3-0 up before Mueller sealed the deal late on. 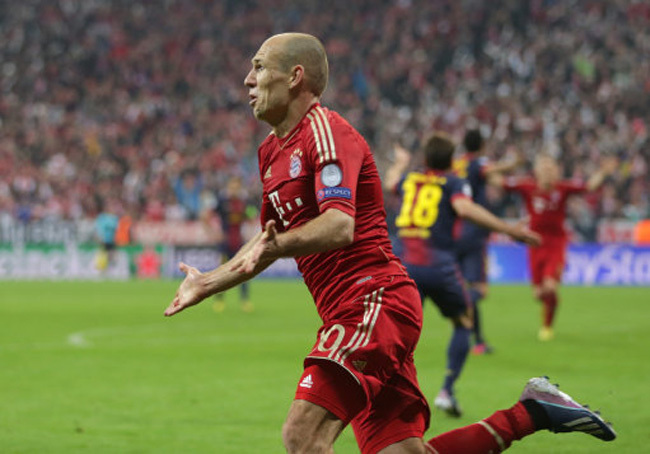 However, Robben’s goal in particular was rather controversial with Mueller clearly fouling Jordi Alba in the box before the Dutchman’s strike. This Barca side have surprised us before and will surprise us again, but even the likes of Iniesta, Xavi and (a fit) Messi will struggle to peg back a Bayern side who look unstoppable. Poor and disapointing barcelona. Tito can not win big matches. You failed against madrid and PSG. If he were to be on the touch line against milan, he would have failed. Barca was loosing and he couldn’t make any vital subtitution. Some players were useless on the pitch and he was just watching. The 3-0 wasn’t nearly as controversial as two clear Barca handballs in the box. Nah, they just played poorly. No Messi, no party. Bayern dominated them. they only seem to have one plan (messi) and if/when it/he fails they are crap. Good, fed up with the Spanish thinking there untouchable anyway.